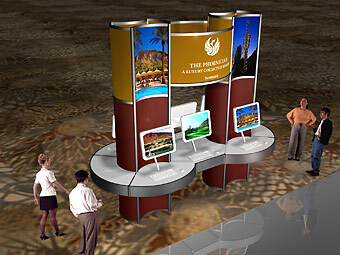 Trade Show Graphics | Trade Show Booth Graphics & Displays | CSI etc. CSI etc. is committed to focusing on your goals. Whether your graphics needs are straightforward or multifaceted, we offer a collection of services from designing and printing to finishing and installing your graphics. Every step of production is made to order to your needs. Our Graphics department produces a wide selection of custom signs including full color graphics and vinyl banners. 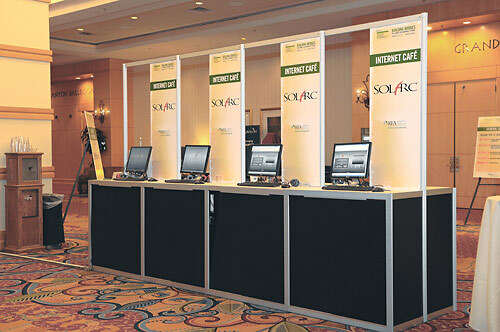 We offer an assortment of sign holders for display in addition to larger AGAM structures for meter boards and entrance signage. 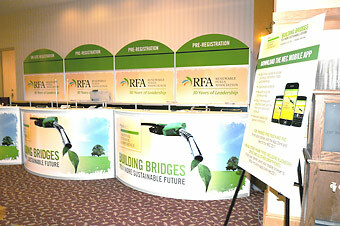 Ask us about our mixture of signage options. We are a qualified, full service sign graphics company providing custom signage solutions for all kinds of business and advertising. Over the years, we have fabricated and manufactured cutting-edge one of a kind signage solutions for a diverse group of clients including resorts, golf courses, bars, shopping malls, stores, arena’s, and several others. All our signs are cost-effective, influential marketing tools that promote detailed promotions and product information to your customers. 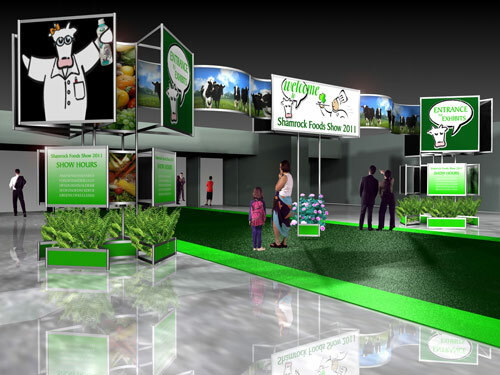 Imaginative graphics under your feet will transform your trade show floor, Store, Special Event, Retail Space into highly treasured advertising space. 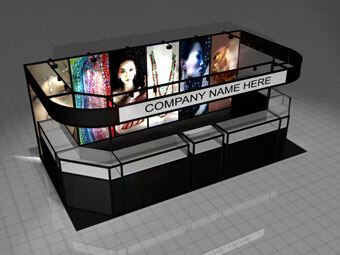 Use these custom graphics to promote in-store events or draw attention to new products. These amazing Decal graphics supplement and support your marketing crusades tenfold. They are low tack non residue and safe, resilient and easily removable. They can be created in any shape or sizes. These amazing decals turn your walls, windows, floors and cars into your very own walking billboard! Would you like an opportunity to make a sound choice for the environment ask us about BioBoard it’s recycled and recyclable. 63% Post-Consumer Waste Content Excellent Printability with a white surface. We are accomplished at manufacturing top quality signs in all categories, styles, shapes, colors, sizes, and finishes. Each sign is finished using a variety of substrates in a huge range of sizes and fonts; simple pictures and borders; and lettering in a selection of colors. CSI etc. has local and national customers. Signage projects from our company are very eye-catching, easy to read and are very influential to highlight your business logos, business names, and special promotions. Our teams of signage designers are artists, and accomplished professionals who have knowledge in conjoining inspired ideas to appealing design elements. They know how to design and fabricate the finest quality custom commercial signs for any application.